Guess you have already heard about the $35.00 (Rs.2135.00) Chromecast from Google. 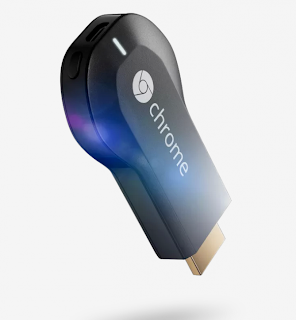 The Chromecast is a Google Chrome powered stick that plugs in to your TV, Monitor or any other display's HDMI port and lets you watch the streamed content directly on your preferred display. You can stream Video, Audio, YouTube from your Android Phone directly to the TV and get a HDMI experience. However the developers at the XDA Forums think that even $35.00 is a tad costly for such a inexpensive affair as streaming. Maui, a developer with the XDA Forums has developed a alternate patch which can be used with your unused Android device like the Android Mini Stick computer lying around and voilà you can convert the Android Stick Computer into a 'Cheapcast'. The Cheapcast, according to Maui can be used on any Android device instead of Google's own Chromecast. You have to just patch the device with the Cheapcast App. Using and setting up the application is incredibly simple. All you have to do is install the App and enable the service. Within the app itself, users can change the friendly name, which is used to identify the Chromecast receiver. After the service has been enabled, CheapCast works just as fine and is able to accept your casts from compatible applications. One limitation in the current beta, however, is the lack of support for Google Cast tab streaming from Chrome. You can download the Cheapcast App from Google Play here or the mirror here. There is another bit of good news for Android users, the CyanogenMod team is reportedly working on making Chromecast available in nextGen CyanogenMod release.